The article focused on global manufacturing and, in a nutshell, asserts that every country besides India will face manufacturing labor shortages in the years ahead. It also predicts the U.S. will lose an estimated $73 billion by 2030 due to the skills gap. The guys at MakingChips reacted appropriately to this news, with a range of emotion from skepticism to activism to optimism. For starters, there are the numbers. As Jason pointed out, with tech changing the face of manufacturing so much, it seems a bit lofty to predict how things will look 11 years out. Whereas the featured article focused on the global industry, digging a little deeper into U.S. manufacturing predictions, the most credible magic number seems to hover around a talent shortage affecting 2 million jobs over the next ten years. 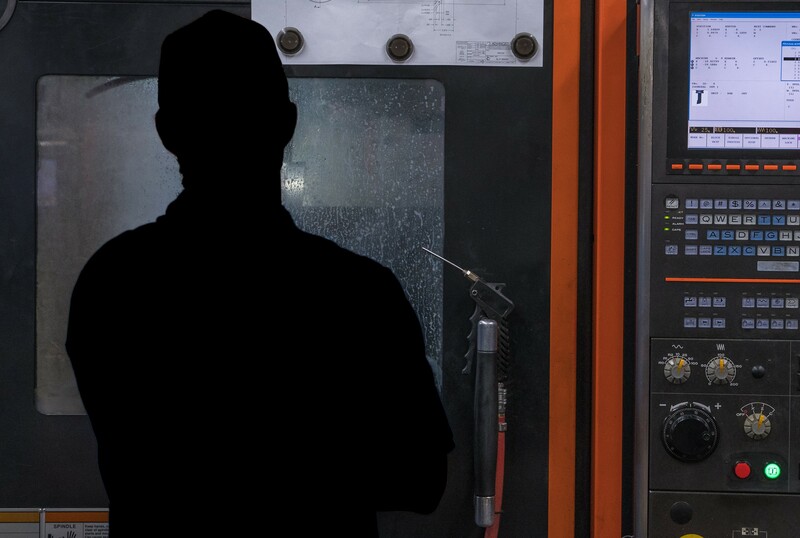 A December 2019 Industry Week article, How Manufacturers Will Tackle the Talent Shortage in 2019, analyzes research conducted by Deloitte and The Manufacturing Institute, and states manufacturers will likely need to add 4.6 million manufacturing jobs over the next 10 years to accommodate industry growth. However it maintains that 2.4 million of those jobs may go unfilled due to a skills shortage. The article also uses data collected from the Bureau of Labor Statistics to support their additional claim that more than 500,000 manufacturing jobs remain vacant in the U.S. today. Another article, published in November 2018 by DC Velocity, a multi-media magazine geared toward logistics and supply chain managers and executives, cites Paul Wellener, vice chairman, Deloitte LLP, as stating, “With nearly 2 million vacant new jobs expected by 2028, compounded by 2.69 million vacancies from retiring workers, the number of open positions could be greater than ever and might pose not only a major challenge for manufacturers but may threaten the vitality of the industry and our economy." Sheesh! So are we supposed to break out the doughnuts or cry in our coffee? New jobs in manufacturing means growth. Growth is good. But what about those vacant jobs? What’s up with that? As the Deloitte study points out, five out of 10 open positions for skilled workers in U.S. manufacturing remain unoccupied today. Nearly two-thirds of the manufacturers surveyed listed the skills gap as their top concern, and nearly half of the survey respondents (45 percent) said a negative perception of the manufacturing industry is the main reason positions tend to go unfilled. The original LinkedIn article recommends investing in training initiatives, encouraging a culture of continuous learning, and focusing on upskilling new and current employees, in order to find, develop, or retain the critically important skilled workers we need to respond to all these new jobs. Jason was quick to name a few people already blazing the trail. Titan Gilroy, the dynamic machinist behind the MAVTV show TITAN American Built, was able to get audiences fired up about metalworking by showing the machining process from design to delivery in a reality show format. MakingChips podcast alum Toni Neary, Director of Education at Haas, Morris Group, Inc., is another trailblazer, working directly with schools, districts and states to justify, grow, fill and sustain viable manufacturing programs at the secondary and post-secondary level. An October 2018 Forbes article titled, How Do We Fix The Manufacturing Skills Gap? Lots Of Ways!, argues the gap is greater than a lack of skills and a dwindling desire to work in manufacturing, and instead points to a breakdown in fundamental knowledge of working with one's hands. The author also notes, as fewer young people see work in manufacturing as a desirable career, there are some people working hard to change this. Mike Rowe, host of the TV show "Dirty Jobs", created the mikeroweWORKS Foundation to counter the notion a traditional college degree was the only path a young person has to success, and try to offset the lack of skilled tradespeople. Rowe founded and serves as CEO of the foundation, which provides scholarships for young people pursuing education in the skilled trades. The Michigan Advanced Technician Training (MAT2, pronounced "mat squared") is an industry-driven public-private partnership, involving more than 50 companies, which pays tuition for apprentice's associates degrees and provides paid on-the-job training. The program covers technical degrees such as Mechatronics and Computerized Numerical Control (CNC), offered by a number of colleges in partnership with the Michigan Talent Agency. For all of us in the metalworking nation, there’s a lot of data out there, and the choice is ours as to how we respond. Chances are, if you’re reading this article, you’re an optimist just like all of us at MakingChips. Cheers to a glass half-full! Let’s get excited about new jobs, and let’s be challenged to find innovative ways to bridge the skills gap. Let’s all do our part to equip and inspire each other to elevate our leadership, find solutions to our challenges, increase speeds and feeds, and raise up the next generation to do things better. As Nick said in the podcast, fixing these problems is the personal mission of MakingChips.